The Rankings tool is a great way to track the rankings for your product! Or you can track your competitors to see how they ranking. Q: What happens if I 'star' a product? Know Your Keyword Rankings: If you know where you rankings are then you can work to improve them. Or if you're already at the top of the rankings for your target keyword, then you can work on ranking for another keyword, increasing the chances of your product showing in the search results of Amazon. Track Changes In Rankings: A change in rankings, be it an increase or decrease is an indication that something has happen. Having this information at your fingertips allows you to take targeted action to improve them immediately. If you are running a ART Deals Community Promotional offer, then you can use the Rankings tool to see how these sales are working towards improving your targeted keyword rankings. Target New Keywords: You can add new potential keywords to the tool and assess their viability for targeting them in your Amazon listing. The keyword volume (data from monthly Google search data) will give you an indication of the monthly search volume, which you can use to determine if its worth targeting. Higher volume keywords are more likely to be used by Amazon customers, however higher volume can also mean higher competition. Sometimes it will be harder to rank for these and you might be better to go after the 'low hanging fruit', such as a keyword with a less search volume and therefore lesser competition. Track Competitors Potential Keywords: You can add any product, such as your competitors or a new item you're looking to do market research on in the Rankings tool. Add the keywords you think they're targeting, or compare it to the same one as yours and see how they rank. Not sure what keywords they're after, look at their product title and description. I'm sure you'll notice some phrases of interest in their listing. Our Ranking Tool Guide is here! If necessary add a 'Tag' to your product. If necessary un-tick the 'Track Parent Product and All Variations' checkbox. Click on the '+' icon to add keywords. 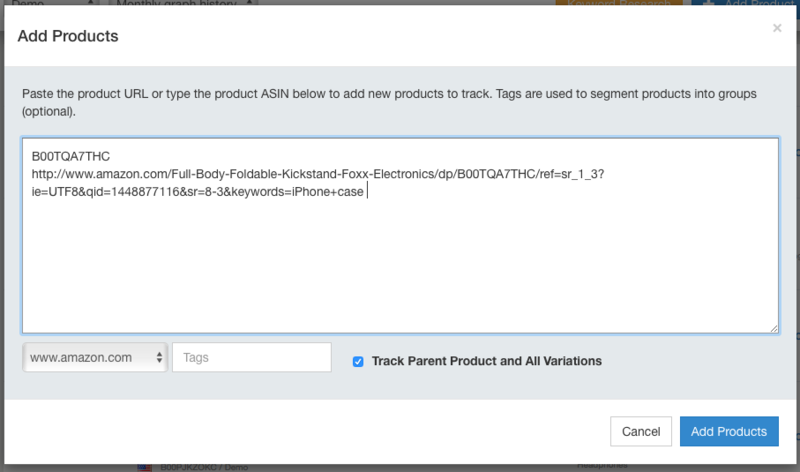 Tags are a great way to manage and organize your products in AMZ Tracker, particularly if you're tracking a lot of products in each tool. 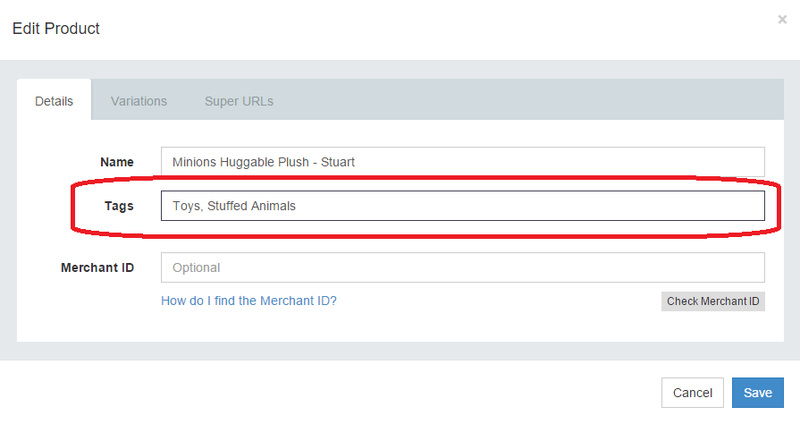 Tags can help you group your products by category, by seller and more. 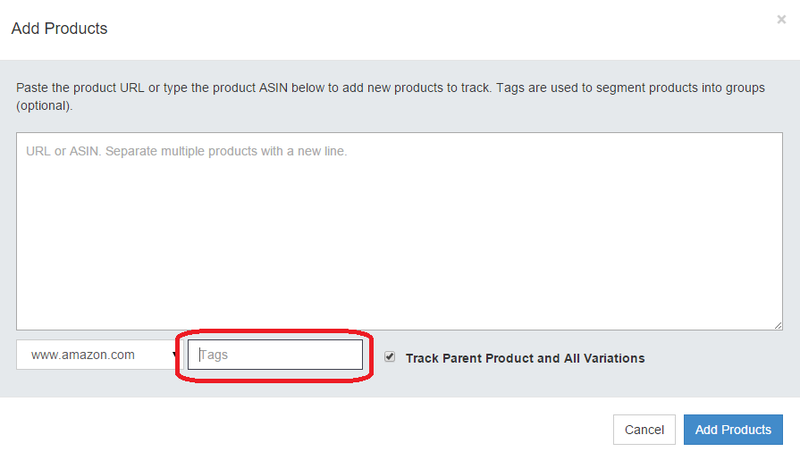 If you're adding a product for the first time: While adding your product, enter as many tags as you'd like in the 'Tags' field. Be sure to separate each tag with a comma. Find the product you want to tag (it doesn't matter which tool you're currently using). Click on the pencil icon in the right column. It will say 'Edit Product' when you hover your mouse over the icon. 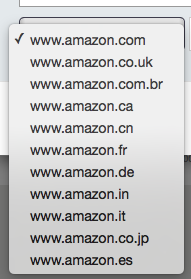 In the 'Tags' field of the pop-up window, enter as many tags as you'd like for the product. Be sure to separate each tag with a comma. Click the drop-down menu in the top of your window that says 'All Products'. Now the tool will only display the products that match the tag you've selected. If you have certain products that you would like to be the first products shown in any of AMZ Tracker's tools, you can click the small star icon to the left of the product image. The next time you return to the tool, all 'starred' items will be displayed first. You can also 'un-star' a product at any time.